Spring is a wonderful time in Deep Creek Lake. The snow begins to melt into a memory as the temperatures warm and plants turn green again. This is the perfect time to plan a visit to Lake Pointe Inn in McHenry, MD. Spring brings the opportunity to partake in a bounty of Deep Creek Lake activities. You can enjoy the outdoors by visiting Deep Creek Lake State park or the Adventure Sports Center International or take to the water on the lake. To enjoy spring, try these fun Deep Creek Lake activities during your visit. The mountains and woods surrounding the lake make hiking one of the best loved Deep Creek Lake activities. Trails located in Deep Creek Lake State Park, Wisp Resort and Fork Run Recreation Area provide hours of fun for hikers. As the lake warms up and the ice melts away, spring is when boating begins in Garrett County. 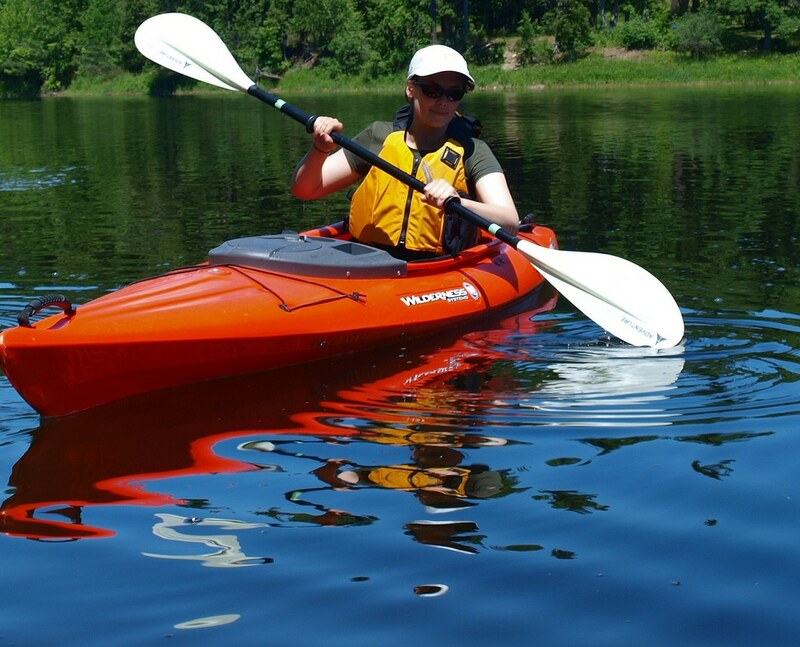 Lake Pointe Inn has kayaks for guests to take out onto Deep Creek Lake so you can explore the area by water. Or, if your tastes are a little more adventurous, the Adventure Sports Center International (ASCI) has several programs you can participate in to experience rapids and faster waters. A great way to enjoy the springtime in Deep Creek Lake is on horseback. Stables such as Circle R Ranch have trail guided trail rides through the picturesque wooded hills. Fishing is one of the most popular Deep Creek Lake activities throughout the year. A large variety of fish live in the lake in abundant populations, making fishing a popular and rewarding pastime. Mountain biking during the spring is a great way to get outdoors in Garrett County. You can choose to mountain bike at Wisp Resort where clinics and season passes are available or at ASCI in Fork Run Recreation Area. Take advantage of the local ledges and boulders by trying your hand at rock climbing or rappelling. ASCI has two hour programs with instruction in Fork Run Recreation Area. Or, if you’re already an experienced climber, you can take on the rocks at Fork Run, Cooper’s Rock or Seneca Rocks. The warming weather provides the perfect opportunity to visit Casselman River Bridge. Built in 1813, the bridge was the largest single-span stone arch bridge built in the 19th century. The bridge area also has a picnic area with fireplaces. To enhance your trip after these Deep Creek Lake activties, you should consider staying at a local inn. Our Deep Creek Lake bed and breakfast is the ideal place to stay during your adventures. Located on the shores of Deep Creek Lake, Lake Pointe Inn has all the modern amenities travelers expect along with a rustic charm that complements the natural beauty of its setting. Each of our rooms and suites is decorated in style of the Arts and Crafts Movement and has its own private bath and gas fireplace. And your stay includes a full breakfast each morning, with a continental breakfast available if you decide to get an early start on your Deep Creek Lake activities!